Ahead of the school holidays, 'ready-to-catch' rainbow trout are stocked into lakes around Melbourne and regional centres. The rainbow trout stocked are advanced yearlings and are suitable to be caught immediately. Rainbow trout are a good option for children or those trying fishing for the first time, because they are relatively easy to catch and take a variety of baits and lures. This stocking program aims to encourage families to go fishing, particularly during school holidays. 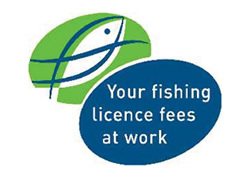 Anglers are reminded that a daily bag limit of five trout applies, of which only two can exceed 35 centimetres. Fish stocking is funded by recreational fishing licence fees and the State Government's $46 million Target One Million plan, which aims to get more people fishing, more often. *Water unable to be stocked due to unforeseen circumstances, i.e. water levels low or too warm.